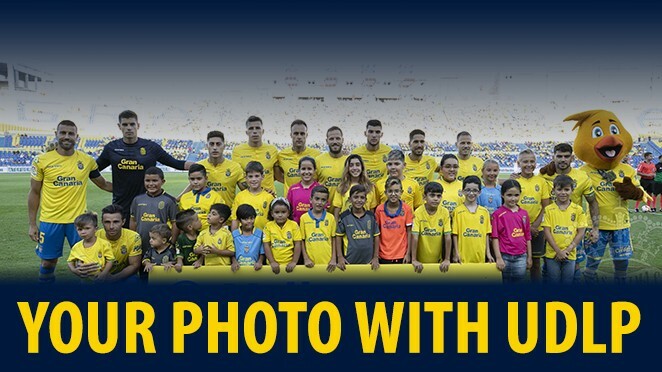 PROTOCOL FOR THE APPLICATION AND AUTHORIZATION IN THE PRE-GAME CHILDREN PHOTOGRAPH WITH UD LAS PALMAS TEAM. Children Minimum age will be two years for those who can walk on their own and be accompanied for the Ud Las Palmas staff. The participants limit will be of 20 children per game. At least one of the parents' signature is mandatory in the authorization form where the mentioned rules are described. The lack of the previous requirement impedes the children access to the service. Parents alongside their children will gather at the VIP Gate, where they will deliver the children to the Club Staff until the photograph be taken. Minors will be accompanied at all times and exclusively by Club staff to the point where this photo will be taken. Once this happens, children will be returned in the same place where they were collected. Parents expressly authorize the UD Las Palmas, S.A.D. and secondarily to the television rights owners to matches UD Las Palmas, S.A.D., that they can use all the images and recordings, or portions thereof in which the child participates. Once the photo is taken, the Club would send by email and at no cost copy of the photo. That authorization relates to all uses that photographs and recorded images may have and in which the child appears, and more specifically parents authorize to U.D. Las Palmas S.A.D. for such photos can be inserted into printed publications and will broadcast these images recorded on television by any means. That authorization relates to all uses that photographs and recorded images may have and in which the child appears, and more specifically parents authorize to U.D. Las Palmas S.A.D. for such photos can be inserted into printed publications and broadcast these images recorded on television in various means of UD Las Palmas, SAD and televisions broadcasting the game. All this with the only exception and limitation of those uses or applications that might undermine the right to personal honor and own image in the terms established in the Organic Law 1/1982, of 5 May, on civil protection of the right to honor, personal privacy and family and personal image. According to the provisions of Law 15/1999 on the Protection of Personal Data (LOPD), LAS PALMAS SAD SPORTS UNION, as the File Manager, guarantees compliance with current regulations on data protection. For this, it is reported that your personal data will become part of a duly registered file whose purpose is to carry out all the necessary procedures for the maintenance, control and management of the images with the players requested by third parties prior to matches. of the UNION DEPORTIVA LAS PALMAS SAD. The owner may exercise the rights of access, rectification, cancellation or opposition at any time, by contacting the LAS PALMAS SAD SPORTS UNION, Calle Germán Dévora Ceballos s / n, 35019, Las Palmas de GC. " 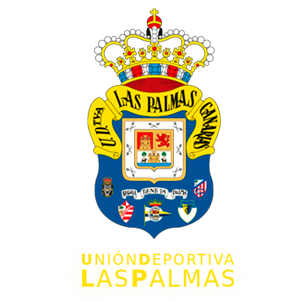 Parents exonerate to Ud las Palmas and any member of its staff, in a documentary way, of any responsibility that might occur while the children are transferring in and out.